Think you're a great driver? You might want to reassess that belief. Eighty percent of motorists reckon they're above average behind the wheel, suggesting that our estimations of ourselves aren't always accurate. Even professional racers constantly improve through training, so why not sharpen your skills by going back to school? We’re not talking about hitting the books at the community college, we’re talking about driving school: the class that can teach you how to scale rocks with your Jeep, traverse a frozen lake with your Subaru or make lots of high speed left-hand turns in a Nascar stock car. Many reputable driving schools are staffed with instructors who can help coax more performance from your car – and yourself – than you might have imagined possible, and there are specialized schools for virtually every style of driving… and every type of budget. Here are a number of our favorites. Utilizing an arsenal of Land Rovers and Range Rovers at posh locations adjacent to natural terrain, the Land Rover Experience offers a wide range of instructional opportunities. Though the company cars are extremely capable in dirt and mud, the real stars are the seasoned teachers who spend their spare time competing in world-class off-road competitions. 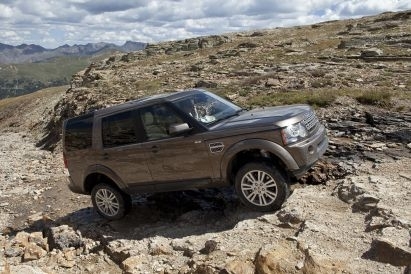 Though a bit more, ahem, civilized than most off-road driving schools, Land Rover's approach offers an excellent way for newbies to learn how to make the most of their high-priced four-wheel drive rigs. Prices: From $250 for a one-hour lesson to $1,200 per day. If you're looking for more specialized instruction, Overland Experts teaches everything from axle-swapping and field mechanic work to border crossing skills for round-the-world travelers. Based in Connecticut, Virginia and the Dominican Republic, their crew trains Navy Seals as well as all levels of civilians. Prices: From $750/day (+ $250/day for a guest) to $1,200 for 2 days (and $400 for a guest); instruction can be as long as 10 days. Dale Jarrett's Racing Adventure is part superspeedway wish fulfillment, part high performance race instruction. 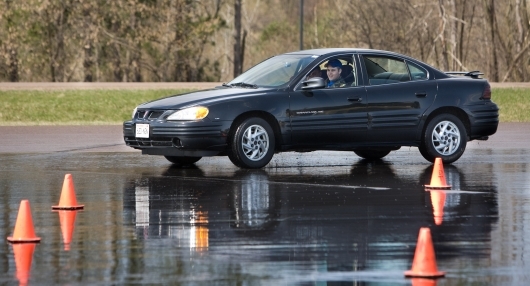 But unlike more risk-averse driving schools, this program encourages drafting and passing on the track. The school meets every other weekend at Talladega Superspeedway and at various tracks throughout the year. Prices: From $195 for a four-lap Superspeedway Qualifier ride to $3,595 for a 60-lap Superspeedway Championship Challenge; prices differ at non-Talladega tracks. Founded by NASCAR legend Richard Petty, this program features 600 horsepower stock cars and classes at no fewer than 23 tracks, including Walt Disney World in Orlando, Florida. Ride alongs can be arranged for as little as $99, but red-blooded speed freaks won't settle for anything less than the full-fledged driving opportunity, which starts at $449. Teen drivers face some grim statistics: car accidents are the leading cause of death for 16 to 19 year olds, and wrecks claim the lives of more than 5,000 teenagers every year. You can help fight those odds by enrolling your kid at the Tire Rack's Street Survival program, which simulates real world driving conditions on a closed course. Classes are available to drivers with permits as long as the conditions of the permit don't require parents to be in the car (since a third occupant could interfere with driving exercises), and the program utilizes the participant's own vehicles. Priced at only $75 for a full day's worth of instruction, the Tire Rack's Street Survival offers a curriculum that's both effective and affordable. BMW's Teen Driving School offers a way to learn the finer points of car control at the helm of Ultimate Driving Machines, and is open to permitted and licensed drivers as young as 15 years old. Exploring everything from panic braking situations to wet skidpads, BMW's program incorporates a variety of vehicles, from 3- and 5-Series’ to their own so-called Sport Activity Vehicles. More experiential than instructional, World Class Driving immerses you into the realm of breakneck speed through several programs involving exotic, high-priced machinery. Their US Supercar Tour puts you behind the wheel of six-figure rides like the Ferrari 599 Fiorano and Lamborghini Gallardo Superleggera, enabling a sort of "ultimate test drive" on public roads. Opt for the Road & Racing program, and you'll combine street and track driving. If all-out speed is your thing, consider their 200 mph Challenge, which enables regular Joes to hit the double century mark on rented airstrips. For the ultimate four-wheeled experience, WCD's Formula One program at Monticello Motor Club offers training and seat time in a 720 horsepower Arrows F1 car that weighs only 1,100 pounds. Boasting a dizzying collection of supercar brands, including Aston Martin, Bentley, Ferrari, Lamborghini and Porsche, among others, Gotham Dream Cars is an exotic car rental company that services Manhattan and Fort Lauderdale. Gotham's Dream Car Tour takes a more hands-on approach to their fleet with complete overviews of their cars, including instruction on how to maximize each vehicle's unique characteristics. Once up to speed on the vehicles, you'll sample each exotic on a road course that covers roughly 150 miles. Sliding around on ice may sound like a rollicking good time to warm weather motorists, but maintaining car control is serious business for cold climate drivers. 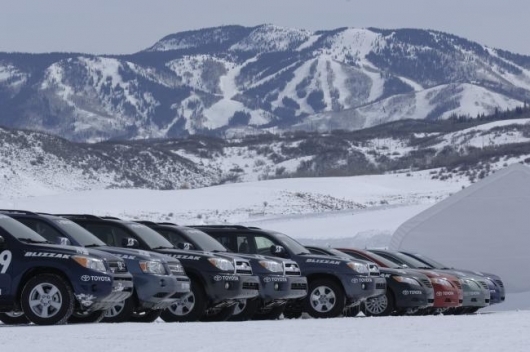 Bridgestone offers a wide array of winter driving programs in Steamboat Springs, Colorado ranging from a four-hour basics course to a two-day curriculum covering high-performance rally maneuvers like the Scandinavian Flick. If you like a healthy dose of challenge with your snowy conditions, Porsche ups the ante with their series of cold weather driving schools held in Finland. Utilizing all wheel-drive 911 and Cayenne models, these driving schools incorporate slalom, hill climb and corrective steering maneuvers. Ice Force, their most advanced course, features 4mm spiked winter tires. The gull-winged Mercedes-Benz SLS stars on the cover of the Gran Turismo 5 video game, and AMG's Academy milks that relationship by offering back-to-back opportunities to sample the game on a racing sled before experiencing the 563 horsepower real deal on the track. But don't let the game tie-in fool you; AMG Academy is dead serious about making you a better performance driver with help from the majority of the AMG lineup. The one-day Basic program teaches vehicle dynamics and high-speed exercises, while the two-day Advanced course offers onboard diagnostics and data capture for more in-depth analysis and evaluation. The Pro program is a three-day affair that steps up intensity with an even more focused curriculum and higher speed, open lapping sessions. In addition to their high performance driving school that incorporates everything from Porsche 911s and Boxsters to BMW M3s and Lotus Exiges, Skip Barber offers more specialized race training in open-wheeled and cup cars intended to groom drivers for the rigors of competition. Programs are held at tracks like Mazda Raceway Laguna Seca, Road Atlanta, Lime Rock Park and Sebring.